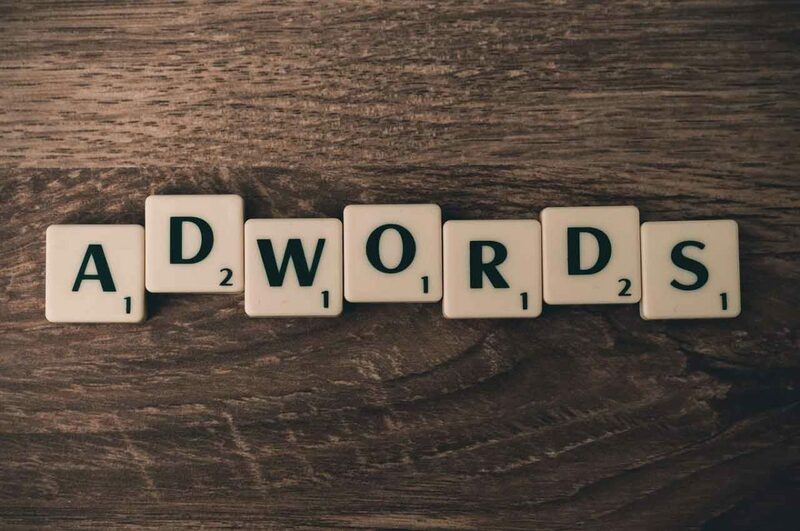 Putting together a Google AdWords campaign, a question you need to ask yourself is: have you looked at your SEO? SEO (search engine optimization) impacts your ranking and visibility in the search engine for key terms. SEO also affects your Google AdWords performance. Here’s how that works. When you use a search engine like Google to look up a key term or phrase, Google uses its proprietary search algorithms to return the best results. The results are shown on the SERP (search engine results page). This is key to understand. Google shows the best results in the most relevant order. Think of how frustrating it would be to search for one term and see results on a completely different topic. It’s like putting a business in your GPS and the first result is in another state. Nobody likes that. So why would your AdWord spend work different? Let’s look at how Google “helps” with that. When you setup a Google AdWords account for pay-per-click you enter keywords, ad title, ad text, and target URL. Once the ad is approved, you then set up a bid for the keyword. In a traditional CPC (cost per click) bidding system, this amount represents the dollar amount you are willing to pay when someone clicks on your ad. There is usually more than one person competing for that keyword in the world of advertising. In the event of many bidders, Google ranks position one thru six based on your max bid amount. Makes sense, right? Well, there is more to the story. SEO is a big factor. How does SEO play into AdWords creation and setup? It’s about the target page and penalties on your bidding. Here’s what I mean. When an ad is created and approved in the Google AdWords system, a target landing page is required. This is the web page that someone will land on when they click your ad. This page is supposed to present a clear message in line with the advertisement. If your ad is about hammers and uses a keyword associated with hammers (i.e. claw hammers), someone clicking on your ad expects to see something about hammers. What if that’s not the case? Well, that creates angry users. Angry users don’t like to have their time wasted and may stop clicking on ads in Google. If people stop clicking on ads, how will Google get paid for search ads? See how this works? Trust me, Google does not have a plan to donate all their time and resources free of charge. Instead, they have a system. SEO relevance of your page plays a major factor in your AdWords campaign because it affects the cost of each bid you place. In the example above I talked about an ad about hammers. The page that is the target for the ad needs to have a strong SEO ranking on hammers. In fact, the SEO relevance of target pages is used as a penalty factor in your AdWords billing. If the target page is analyzed and is not relevant based on the ad, Google will add an additional percentage up-charge to your keyword bid. It’s a penalty that is applied to your bid that makes each click even more expensive. With the penalty, it’s harder to rank in the top 3 positions and it’s more expensive each time someone clicks. It’s also a great deterrent from “spammy” behavior. In fact, the worse the SEO score of your page, the higher the penalty. The solution, good campaign planning and SEO. When you setup your campaign, make sure to start with the end in mind. Think about the ads you are going to run and understand where the click will ultimately lead. You have to find the keywords and phrases that someone would type into the search engine when looking for the solution you are advertising. Once determined, make sure those phrases and ideas rank well on your page. It is complex, but the cost savings, higher display, and better lead quality are worth it in the long run. At Element 502 we use the Google AdWords planner to help find search terms and isolate those in the target market. From there we look at the frequency of terms, as well as the average cost. We segment the campaign into groups and then work on creating several ads dealing with each major area or audience. Once loaded, we use analytics to determine SEO scoring, lead behavior, and conversion. Our team uses some paid, as well as free, solutions throughout the process to ensure a positive result. What about you? If you have some great stories about good or bad AdWords campaigns based around SEO, please share with us. We love to help and learn!